Economics has long labored under the misnomer, “the dismal science,” yet Entrepreneurial Economics shows that it is anything but dismal! Economic thinking is indispensable not only for understanding the world of human affairs, but also for improving it. Want to really change the world? 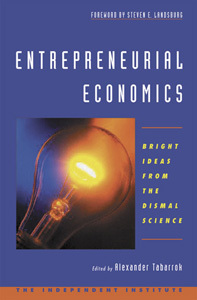 Entrepreneurial Economics clearly demonstrates how practitioners of “the dismal science” are doing just that.